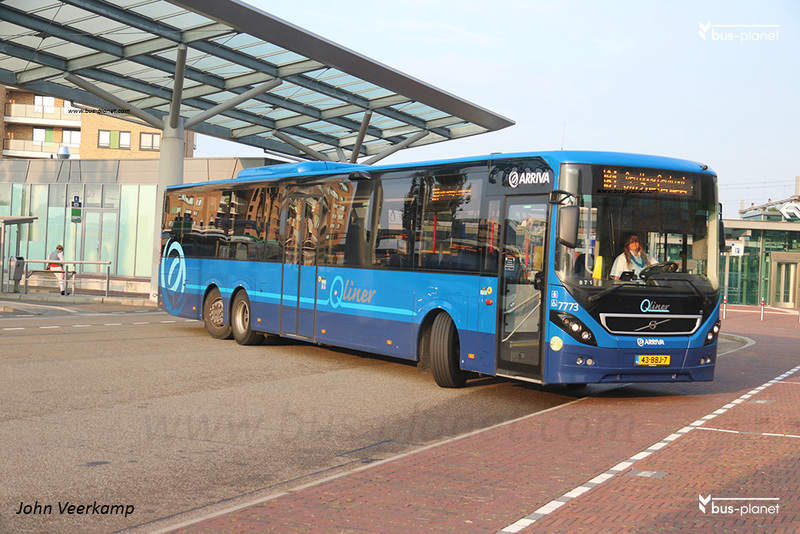 For the important Qliner service 370 from Alphen aan den Rijn to Schiphol Airport, Arriva ordered seven longer three-axle Volvo 8900 in the blue Qliner livery. As the route on which theey are used has been upgraded to Rnet status in December 2017, they were repainted in the red-grey Rnet-livery. Picture(s) taken by John Veerkamp. Netherlands. Alphen aan den Rijn. dd: 2017-09-01.